Packed full of wholesome, nutritional goodness and completely free from grain ‘filler’, the air-dried Herbed Lamb & Potatoes is made with prime free-range New Zealand lamb. What can be more satisfying than Free-range New Zealand Lamb flavoured with fragrant Rosemary and Thyme? Topped off with Spinach, Potatoes and Carrots, this grain-free recipe is a wholesome daily meal for your dog. New Zealand Lamb is raised in the pristine open pastures of New Zealand and is free from artificial hormones and steriods. Free-range lamb is lower in calories and saturated fat than commercially raised lambs, making it exceptionally nourishing and delectable. Herbed Lamb & Potatoes is free from grains and has been designed to be as close to what nature has intended for your dog. It is also an ideal diet for dogs that are sensitive to grain. 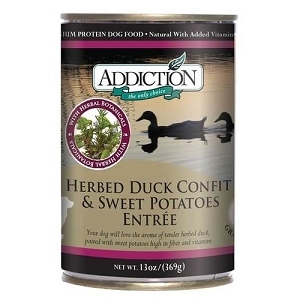 Addiction ensures that your dog is given food that is closet to what is found in nature by using only the freshest and most ideal ingredients for a healthy dog. Premium ingredients include Potatoes, Carrots, Papayas and Spinach - all of which contribute to your dog's vitality. 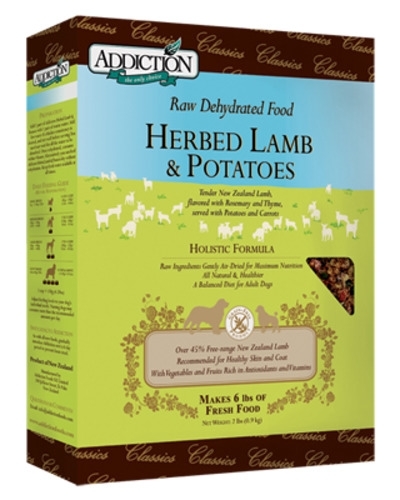 Add 1 part of Addiction Herbed Lamb & potatoes with 1 part of warm water. Add less water if a thicker consistency is desired, and stir well before serving. You need not wait for all the water to be absorbed. Once rehydrated, consume within 4 hours. 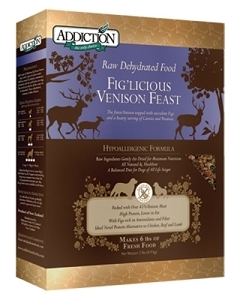 Alternatively you can feed Addiction Herbed lamb & Potatoes dry without rehydration. Keep fresh water available at all times. 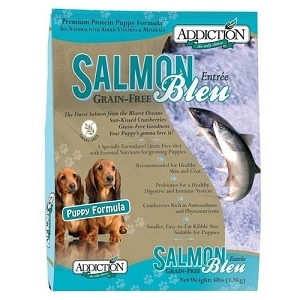 Adjust feeding levels to your dog's individual needs. Nursing dogs may consume more than the recommended amounts per day. As with all new foods, gradually introduce Addiction over a 6-day period to prevent loose stool.